. إن حسن الضيافة والخدمات الراقية التي تعرف بها Mantra Group تغني تجربتك في فندق مانترا شاتسوود. يقدم الفندق مكتب الاستقبال على مدار الساعة, مرافق مخصصة لذوي الاحتياجات الخاصة, تسجيل وصول/خروج سريع, تخزين الأمتعة, صف السيارات لضمان الراحة القصوى لضيوفه. استمتع بوسائل الراحة الراقية في الغرف أثناء إقامتك هنا. بعض الغرف تتضمن تلفزيون بشاشة مسطحة, غرف لغير المدخنين, مكيف هواء, تدفئة, مكتب لمساعدتك على استعادة طاقتك بعد يوم طويل. سواء كنت من محبي الرياضة أو كنت تتطلع لتفريغ عناء نهار صعب، ستجد خدمات ذات مستوى عالي بانتظارك كمثل حوض استحمام ساخن, مركز للياقة البدنية, ساونا, مسار جولف - ضمن 3 كم, حمام سباحة داخلي. إن كنت تتطلع إلى إقامة مريحة وهادئة في سيدني، فستجد في فندق مانترا شاتسوود بيتك الثاني. يرجى العلم بأن جميع النزلاء الذين تقل أعمارهم عن 18 عامًا يجب أن يكونوا بصحبة الأب أو الأم أو الوصي القانوني. يحق للعقار رفض أي حجز إذا لم يتمكن الوصيّ القانوني -أكبر من 18 عامًا- تقديم بطاقة هوية سارية أو دليل على الوصاية القانونية في حالة طلبها عند تسجيل الوصول. يُرجى العلم بأن الرسوم غير القابلة للاسترجاع مرتبطة بمعاملات بطاقة الائتمان. -1.10%مع بطاقة ائتمان ماستر كارد. -1.25% مع بطاقة ائتمان فيزا. -3.35% مع بطاقة ائتمان أمريكان إكسبرس أو JCB. -3.50%مع بطاقة ائتمان داينرز كلوب. يُرجى العلم بأن العقار يُطلب تفويض مسبق لبطاقة ائتمان بقيمة 200 أو دفع مبلغ تأميني عند تسجيل الوصول لتغطية أية مصروفات عرضية. ستخضع مانترا شاتسوود لأعمال صيانة في الفندق تشمل تثبيت بعض النوافذ الجديدة والطلاء الخارجي للفندق حتى 15 مايو 2019. خلال هذا الوقت، قد تحدث بعض الضوضاء المتقطعة بين الساعة 7.30 صباحًا و 4 مساءً من الاثنين إلى الجمعة. نعتذر عن أي إزعاج قد يسببه لك هذا الأمر ونشكرك على سعة صدرك وتفهمك خلال هذا الوقت. Very high level of chlorine in the swimming pool water..very bad for health. I travel around the world but have never seen this level of chlorine. Kindly look into this..with high priority. Most of the people stay here coz it has swimming pool and if they r not getting hygienic water then u can think wat next. people dont say these thing but thought to write it..i guess someone has to do this right? Every staff gives different information..and due to this i suffer alot in making my upcoming plans. Totally disappointed .. The staff were very helpful when I said that I needed to stay an extra day so that I could fly to New Zealand for the sudden death of a family member. (instead of flying back to Perth and then to Auckland). Although the hotel was full and they did not have an extra night available they kept watch and at the elventh hour said a cancellation had occurred imagine my surprise when they wanted to charge me three times the rate that I had been charged for my other three nights. They said they could do nothing about the extraordinary charge. I moved to another hotel for my final night. I quite often stay at the hotel for meetings. I will be looking elsewhere in future. 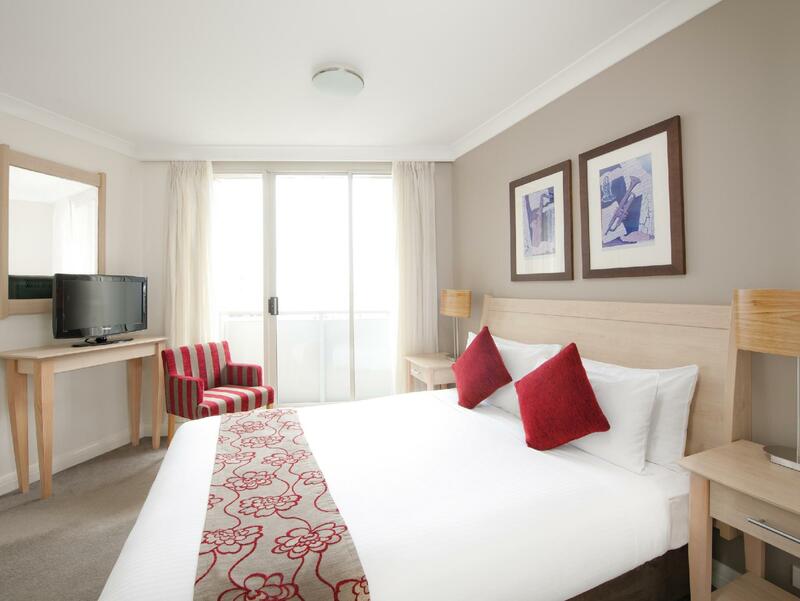 very good location, very busy hotel as it is centrally located. a bit dated and could do with a renovation for some updating. space wise we had 3 sets of double room with connecting doors a total of 6 rooms. Two of the sets are in the middle part of the building which are pretty small and the other set is at a corner which is a little bigger and more room to move around. a short walk across the street to the train station which is very convenient with lots of eateries and Woolworths. Further down is Chatswood main shopping area which is buzzing till late so is very convenient for shopping. Would recommend staying here. The man who was rostered on at front desk when we checked in was very unhelpful and abrupt. Went to room and door would not open with keycard. Back to front desk. Apparently the handle is upside down "for security" ?? Requested different room but to no avail. Management should look at replacing that older man on the front desk for late night check-ins. When we check in at 1 am on 19 Nov, the staff who receipted us said they could accept our booking although Agoda had confirmed with us, hence ask us to ask Agoda n ask for refund ! easy excess to Asian cuisines and shops. Just 3 mins from train n bus stations. Complementary upgrade. Great assessibility to variety of Asian cuisines. Will come back for sure! Left my telephone charger behind and the staff have been very helpful in locating it and sending it back to me by post. This place was fantastic value for money! Central location 2 mins from train station (10 minute ride into Sydney city) five minutes from Westfield and down the road from RSL and across the road from the avenue a lovely restaurant. Location could not be more perfect for shopping food and transport. Service from staff was five star we arrived dishevelled and frustrated from a long day of air and train travel and the staff were commendable from start to finish. The rooms were clean and included a balcony (which wasn't advertised as included) the beds were comfortable and everything was catered for. Balcony with view was a huge bonus! The only fault if Im being super picky is the hallway of the floor we were staying on had a damp/curry smell lingering which was not even unpleasant just noticeable, the room itself was completely fresh and clean with no smell at all. I could not recommend this hotel more I would gladly stay here again five star in all respects! Good, convenient place to stay. Disappointed it didn't have free WiFi so may not stay again but it was a good place to stay for business and met my needs. Plenty of places to eat and drink within 200m and a self contained Kitchen if I wanted to relax, cook and not go out. 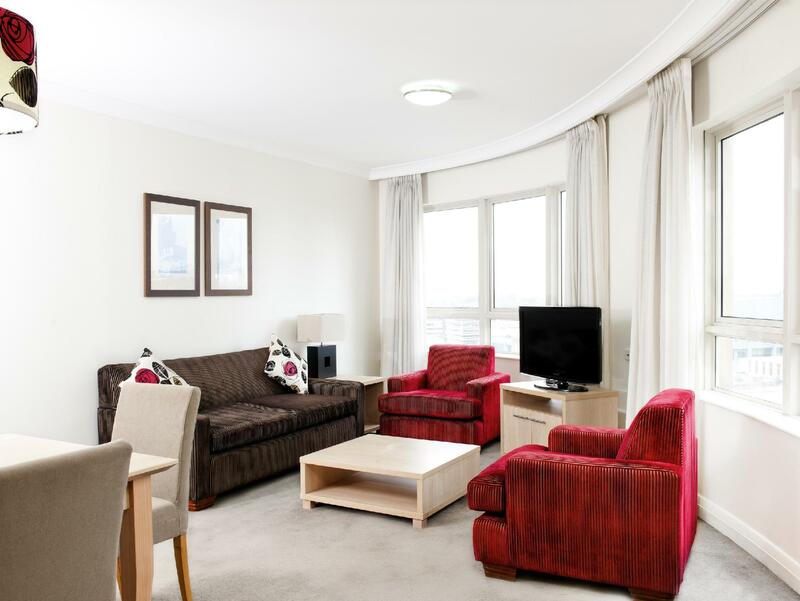 I enjoy staying at the Mantra Chatswood, it close to transport and shops. Staff are very friendly and accommodating. Their were a few we didn't like, like no fan in the bathroom, which means the bathroom got quite humid when having shower. Spring on a $100 deposit when you get there, comes out straight away, but takes days to get back. Not good when your relying on that money. Could do with a movie package, instead of charging $20 for each movie. But would stay there again. Location of hotel is superb. Close to train station for ease of access to city and all suburbs of Sydney. Plenty of choice for shopping and dining in chatswood. Hotel is clean, comfortable, modern and well furnished. We did not eat in attached cafe. Staff are most efficient and welcoming. Would recommend to any one. Overall a great stay. We used this hotel as it was close to trains and family. Staff were helpful and well presented with friendly smiles and good humour. On the positive the room was fresh and clean, possibly the cleanest hotel room we have stayed in. It was a 1 bed apartment style room. It had washer and dryer, with a full kitchen, combined bath shower and a tv in the lounge and another in the bedroom. The hotel itself seems well maintained. The only negatives were that there was no extra bedding ie more blankets and we found the pillows too soft. Aircon was great, quiet and even had zones - you could set the lounge to a different temp to the bedroom. We would use this hotel again.